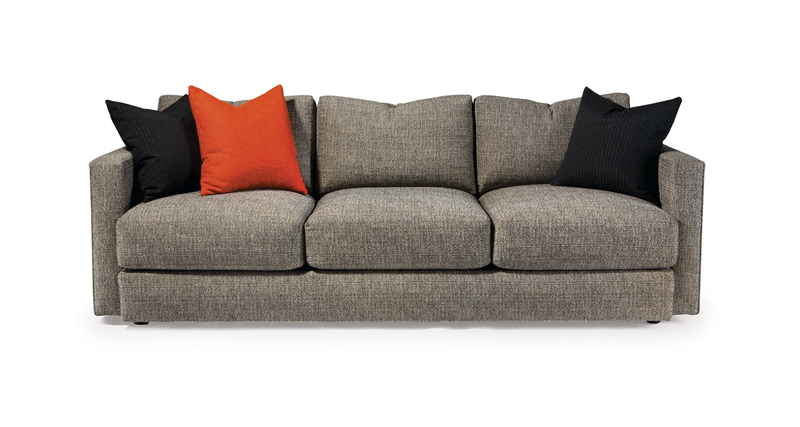 Designed by Guy Hill, the Mr. Big sofa is a timeless classic modern sofa. Coordinating modular units for Mr. Big sectional seating are also available. Select one of our in-house curated fabrics or leathers or provide COM. Hidden ebony legs standard.